Home > Katahdin: the sheep of the future! Katahdin: the sheep of the future! Ewes and rams exhibit early puberty and generally have a long productive life. Special care should be taken to wean well before 4 mths of age as lambs could breed their mothers and sisters by then. Mature ewes usually have twins, occasionally producing triplets or quadruplets. A well-managed and selected flock should produce a 200% lamb crop. Rams are aggressive breeders, generally fertile year round, and can settle a large number of ewes in the first cycle of exposure. With selection a flock can consistently lamb throughout the year. 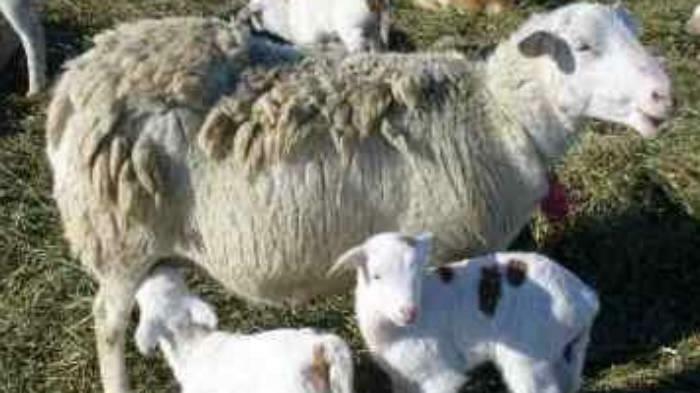 (In Canada we notice a lull in breeding during late spring) The Katahdin ewe shows a strong, protective mothering instinct, usually lambs without assistance, and has ample milk for her lambs. Lambs produce a high quality, well-muscled carcass that is naturally lean and consistently offers a very mild flavor. Lambs are comparable to other medium-sized maternal breeds in growth and cutability. 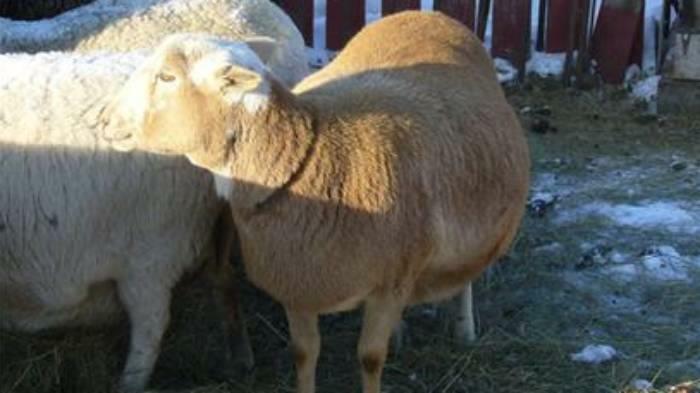 Lambs are desirable for specialty markets at a variety of ages and weights, wethers are appropriate for conventional North American markets at 95 to 115 pounds. We have eaten a 3 yr old breeding ram and other than if the meat was reheated in the microwave, there was no difference (in texture, taste, aroma) from lamb. You never get mutton, no matter what the age you butcher at as there is no lanolin to soak into the meat to make the tallow taste that way. 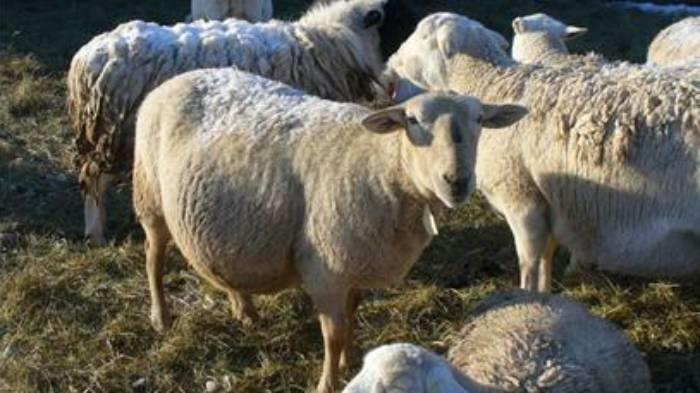 With wool sheep, 1/3 of your feed goes into the production of wool, so consequently the Katahdin requires much less feed for the same amount of meat-growth. Unfortunately this makes them less agressive feeders than their wooly counterparts, making them unwanted in the feedlot where they can not be bothered to sort hair breeds into seperate pens from wooly breeds. Crossing with wool breeds greatly diminishes the value of the lambs as they do not grow any better and now, no ewe lambs should be kept for replacement stock as they will have to be sheared but, shearing will be difficult with no lanolin, causing the overheating of the shearing equipment unless WD40 is continually sprayed onto the baldes. Any resulting wool will have breakage and thus be virtually worthless. Hair sheep are the sheep of the future.... the worlds leading shepherds are changing to the shedding sheep breeds... and they know their sheep.... so my bet is with the larger, meaty shedding breeds.